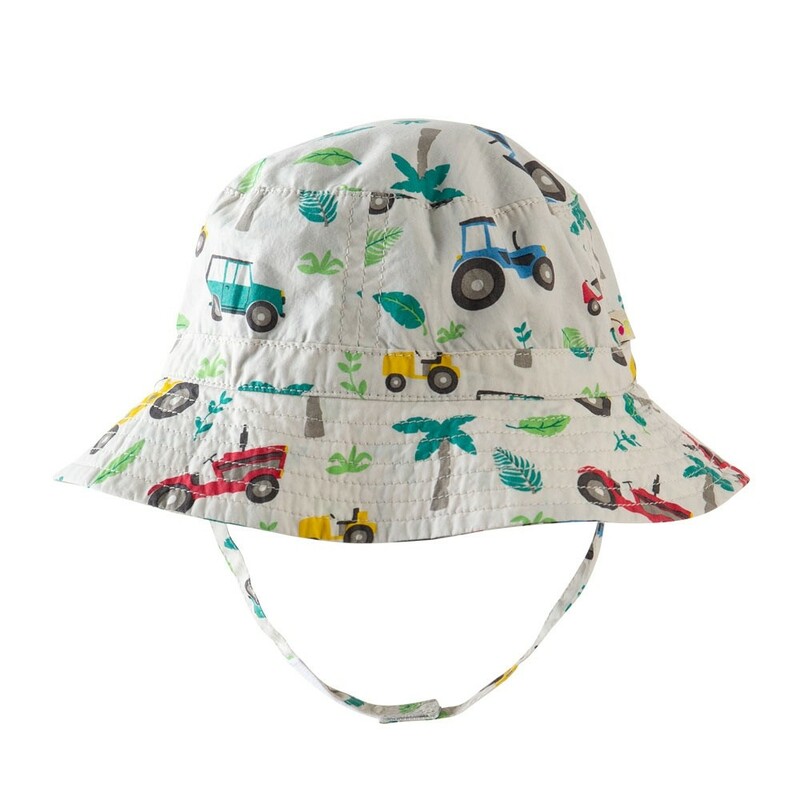 This Frugi Tropical Tresco Dexter Reversible Hat is a comfy organic cotton sun hat for babies and toddlers with two looks in one. 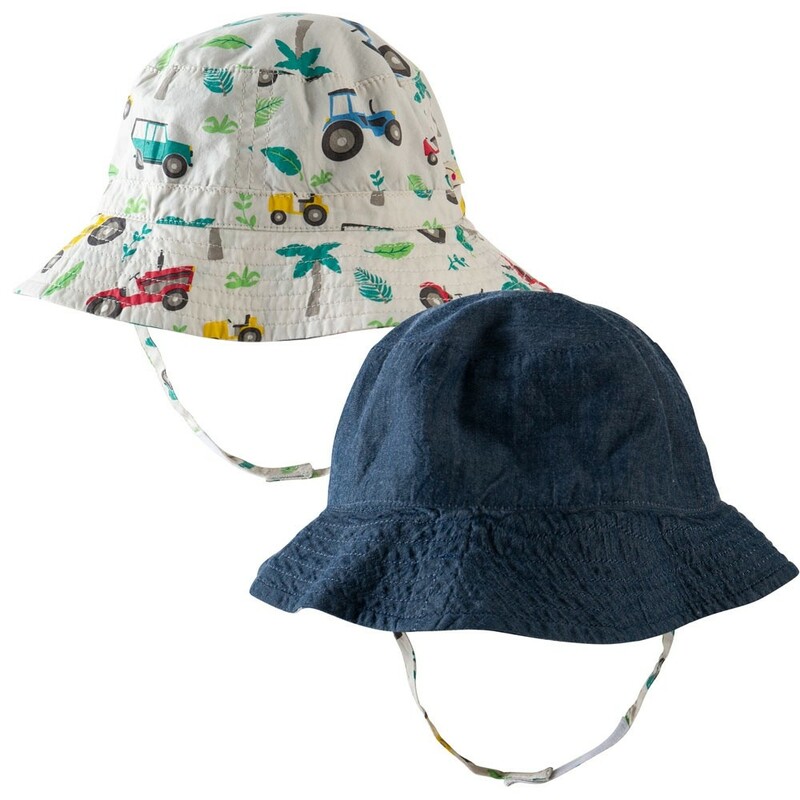 This wide-brimmed Frugi hat has a tropical farm pattern on one side and has denim chambray on the reverse - choose your favourite side. 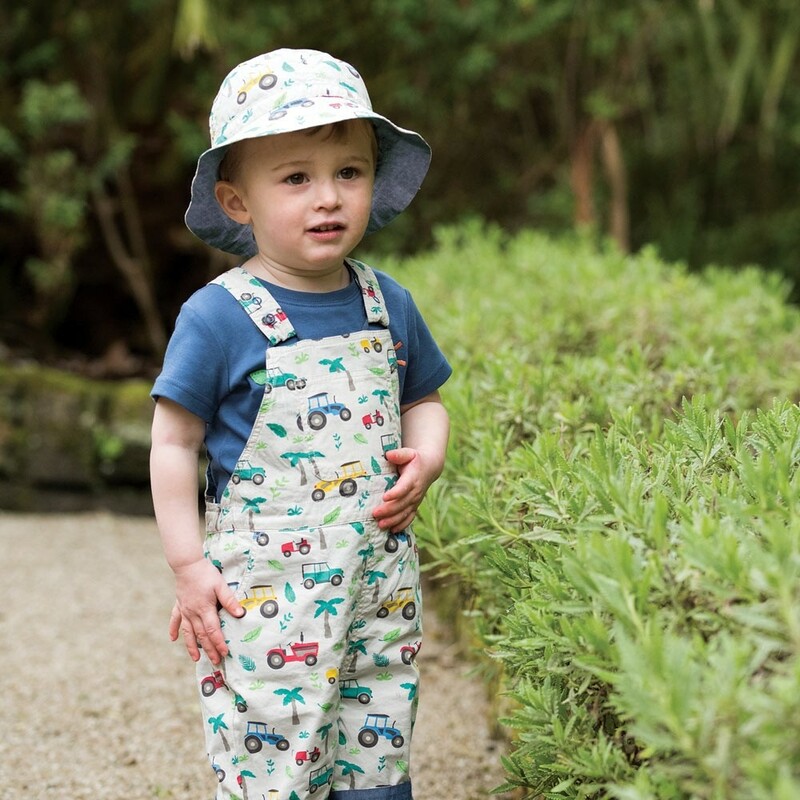 This organic cotton hat keeps the sun off your little one's delicate skin and looks great teamed up with co-ordinating dungarees from the Frugi range. 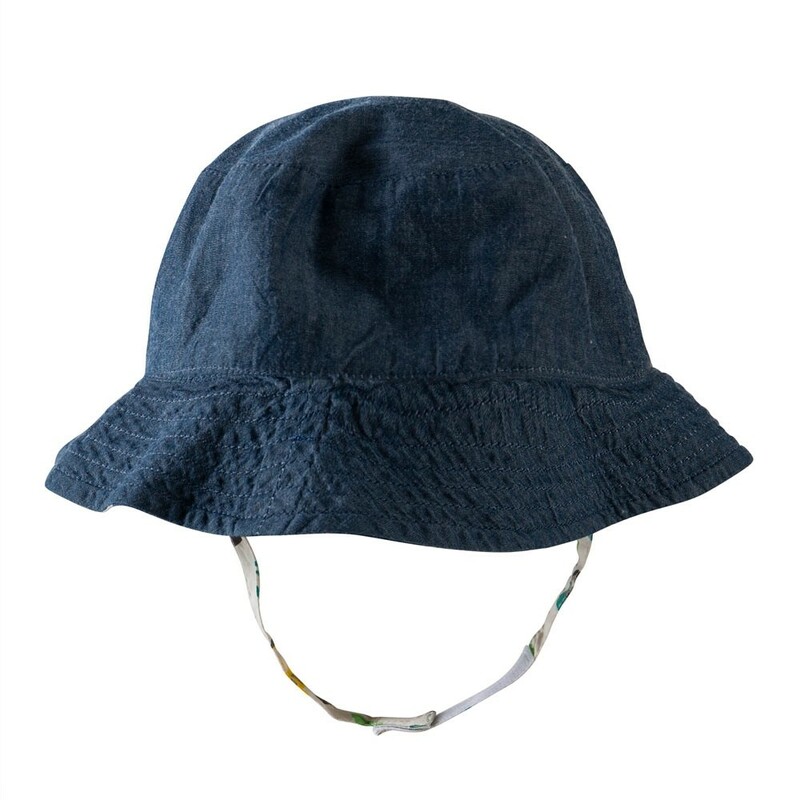 Ethically made from soft organic cotton poplin and chambray, this Frugi hat feels lovely next to delicate skin and is eczema-friendly too. 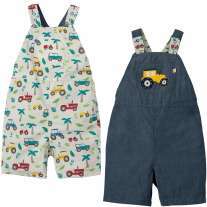 Frugi children's clothes are a hit with green parents who want to buy natural, sustainable baby clothing that is ethically made from GOTS organic cotton. Fabulous prints, bright colours and super ethics too, Frugi is a little bit different to what you will find on the high street. Embrace the ethical fashion revolution with Frugi.